While running is a simple and very beneficial form of exercise, it can cause considerable wear and tear on the joints and muscles of the body. The best insoles for running have cushioning and shock-absorbing features, which can help to relieve and prevent numerous issues. Massaging gel surface ensures all day comfort. Honeycomb cushioning helps to absorb shock and reduce impact. Textured base of the product keeps it in place in your shoes. Massaging gel and Triple Zone Protection absorbs shock. Flexible arch support improves stability and motion control. Designed and tested for use during many athletic activities. Firm but flexible arch support and heel cradle. Shock-absorbing foam absorbs impact and reduces joint stress. Implus® foam contours to the shape of your foot. Gel cushioning provides comfort to the foot. Moisture management treatment keeps feet clean and dry. Heel cup and Plastazote® layer provide a high level of cushioning. Air flow channels in the arch support help to keep feet cool. Recommended for sufferers of arthritis and diabetes. What Are Insoles for Running? Insoles for running are inserts for your shoes that are designed to alleviate pain from various issues caused by running. They can also help to prevent these problems from developing or worsening over time. These issues are predominantly caused by repeated impact on the joints and ligaments, particularly in the lower legs and feet. They include bone stress injuries like stress fractures, as well as shin splints, heel spurs, tendonitis, runner’s knee and plantar fasciitis. Other conditions that can be caused or made worse by running include arch and heel pain, corns, blisters and foot fatigue. How do Insoles for Running Work? 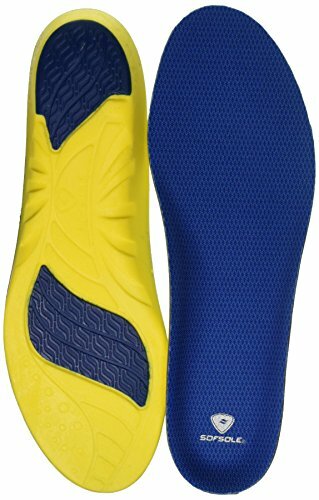 Insoles for running work in a variety of ways, with features that are beneficial for different foot types and different issues caused by running. Arch support helps to keep your feet and legs in correct alignment and prevent over pronation, and motion control prevents sideways movement in the feet. A considerable amount of cushioning in these products, often made from gel components, helps to reduce the level of impact on the joints in your leg. A top layer of foam which can mold to the contours of your foot helps to absorb shock effectively; this also aids in reducing wear and tear on the legs. Who Needs the Best Insoles for Running? The best insoles for running can be used by runners of all levels, and they’re also beneficial for people who do a lot of hiking, walking or simply spend long periods of time standing on their feet. It’s important to consult with a foot specialist to help you establish whether or not you need a product of this type, as insoles that are unnecessary or incorrect for your condition can cause more harm than good. What Is the Best Way to Use Insoles for Running? Insoles for running are easy to use and can be inserted quickly before use. First you need to remove the factory insoles from your shoes to allow sufficient space for the new insole. Then you can insert your new insole and check to see if it needs any size adjustment. If this is the case then there may already be outlines on the product for different sizes, or you can create your own using your foot or the original insole as a guide. Insert your new insoles following the manufacturer’s instructions for correct positioning, and they’re ready to use straight away. Insoles for running should last up to six months, depending on how high your level of usage is. How Do I Choose the Best Insoles for Running? Whether you have specific conditions that need addressing or just want some extra cushioning for long hours spent on your feet, it’s always best to consult with a podiatrist or medical professional before purchasing insoles for running as they can advise you on which features will be most beneficial for you. 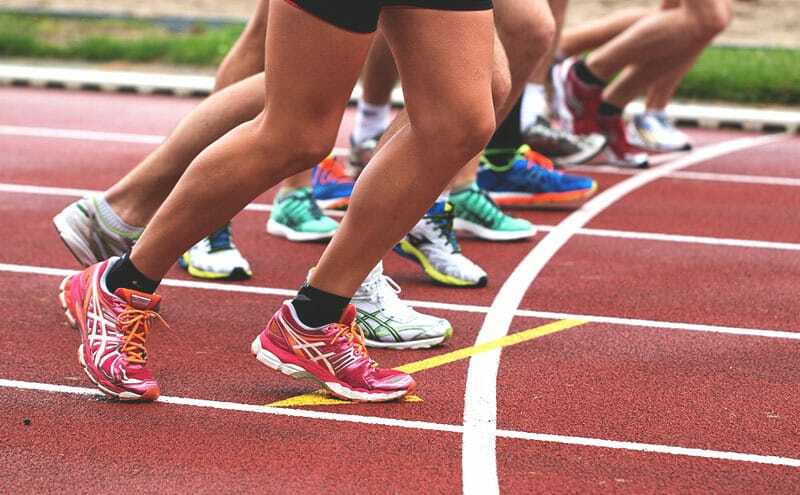 Insoles for running feature a high level of cushioning in the heel and forefoot areas, and some products may have a foam surface that molds to the shape of your foot or specially developed components that provide effective shock absorption. Insoles for running often include built-in support for the arch area of your foot, and motion control features prevent side to side movement of the foot and over pronation. The materials used to manufacture these products have their own features and benefits; a non-slip base to the insole will prevent it from moving around inside your shoe, moisture wicking helps to keep your feet dry, and odor-preventing treatments help to keep your shoes smelling fresh. Insoles for running are either manufactured to fit a certain shoe size, or trimmable to allow you to customize them. They may feature airflow channels to help keep your feet cool, and most products are washable and durable, even with regular usage. What Are the Benefits of the Best Insoles for Running? The best insoles for running can offer numerous benefits to people of all activity levels. The main benefit is the absorption of excess shock and a reduction in the level of impact exerted on the musculoskeletal system. These products also help to keep your feet and legs in correct alignment while standing, walking or running, and can prevent injuries and the development of conditions such as heel spurs and plantar fasciitis. The best insoles for running can improve your performance levels when exercising, and extend the life of your running shoes as the insoles can be used to replace the original sole in your shoe when it has worn out. On top of this, the best insoles for running can include many features that keep your feet cool, dry and odor free. What Are the Best Insoles for Running? With such a wide variety of both custom made orthotics and ready to wear insoles available, choosing the best insoles for running can be very difficult. We’ve covered all of the hard yards for you by evaluating five insoles for running products currently available, and evaluating each of these on their features, quality, value for money and overall benefit. These insoles for running offer cushioning support to the forefoot and heel areas, with a neutral arch that supports all levels of foot arch. The massaging gel surface is ergonomically designed to mold to the foot, cradle the heel, and provide stability to the arch. This full-length product is beneficial for heel spurs and pain, plantar fasciitis, neuroma, arch pain, corns and foot fatigue. The unique honeycomb design areas in the forefoot and heel aid in absorbing shock and reducing the stress from impact and pressure on your feet. These insoles for running are effective for improving performance and reducing pain levels during exercise. They can be worn with most styles of footwear, can be trimmed for a perfect fit, and are resilient enough to keep their shape even after repeated use. The textured base of the product ensures a solid grip with the inside of your shoe, which prevents slipping and allows more comfort and stability, and the silicone gel surface is lightweight and medical grade. These insoles for running are easy to remove and wash, and they feature a lightweight antimicrobial layer which helps to eliminate any odors. Provides adequate cushioning to the foot for lengthy periods of time. High level of heel cushioning. Effective for relieving foot pain. One user found the product can bunch and slip. These insoles for running feature massaging gel technology which cushions your feet, absorbs shock and supports the arch of your foot, all of which helps to reduce stress on the joints in your lower legs. The supportive flexible arch shell helps to improve motion control and stability of the foot, while the Triple Zone Protection can reduce shock by up to 40 percent and lessen wear and tear to the legs. This product is tested on athletes and is designed for use during a range of athletic activities where the lower limbs experience extensive impact and a range of physical motion. Without correct support, muscle fatigue and other issues can occur, and this product helps to reduce this. These insoles for running fit a wide variety of sports shoes, and can be trimmed to fit different sizes. They’re particularly beneficial for shin splints, runner’s knee and plantar fasciitis. Good level of cushioning in heel area. Excellent level of shock absorption. Keep feet comfortable for long periods. Last for six months even with frequent usage. Plastic arch support can sit in the wrong place and dig into foot. These insoles for running feature a firm arch support and heel cradle, which help to stabilize the foot during exercise while still allowing considerable range of motion. The comfortable EVA foam base contains dual-layer cushioning, and the shock-absorbing foam supports the foot, reduces impact and decreases stress on the joints of the leg. This product is suitable for high-level physical activity, and it helps to protect your feet and reduce fatigue. The top layer of fabric is antimicrobial, and reduces friction and heat to leave feet protected and comfortable. 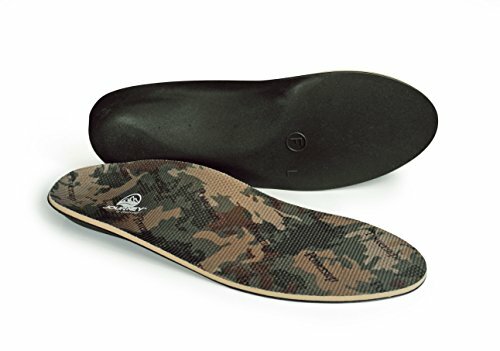 These insoles for running fit in a variety of different footwear without needing any trimming to fit, and are easy to change between different pairs of shoes. Good heel support also helps to prevent back pain. Effectively relieves pain from heel spurs. Very beneficial for plantar fasciitis. Too thin for some users. Heel edge is too sharp. Can cause rubbing in the toe area. These insoles for running feature Implus® foam with a neutral arch design that contours and shapes to fit most types of foot. Lightweight gel cushions in the heel and the ball of the foot area aid in providing comfort and improving performance, without making the product too bulky for a comfortable fit. These insoles for running have a hydrologix moisture management treatment, which helps to keep feet dry and cool. This product is suitable for a wide variety of footwear, and a range of physical activities. It’s beneficial for anyone wanting to improve their performance and have the support of more comfortable footwear. Prevents foot and back pain. Don’t slip inside your shoes. Good moisture and odor control. Inadequate level of arch support. Heel cushioning causes heel to pop out of shoe. These insoles for running are designed to lessen friction inside your shoes and prevent blistering, while effectively absorbing shock and evenly redistributing pressure on the foot area. An extra-deep heel cup helps to support and cushion the foot and leg joints by utilizing the natural tissues found in the heel of the foot, while the Plastazote® top layer uses body heat to mold to your feet and provides plenty of cushioning as well. This product features air flow channels which are molded into the arch of the insole; these aid in moving warm air out and drawing cooler air into the shoe. These insoles for running can be used during all kinds of physical activity, and are suitable for all-day use. They’re also recommended for sufferers of arthritis and diabetes. Beneficial for arthritis pain in the legs and feet. Can relieve pain from morton’s neuroma. Mold well to the shape of your feet. Lessens effect of heel strike force. Hard to fit to shoe. Can cause feet to slip and sweat in the shoe. Caused plantar fasciitis for one user. Too thin to be sufficiently supportive. After thoroughly evaluating our selected products on their quality, effectiveness, price and features, our choice for the best insoles for running are the MOISO Gel Sports Comfort Cuttable Insoles for Shock Absorption. As well as being more cost effective than all of the other products we looked at, these insoles for running had numerous features and benefits which made them stand out from the rest. 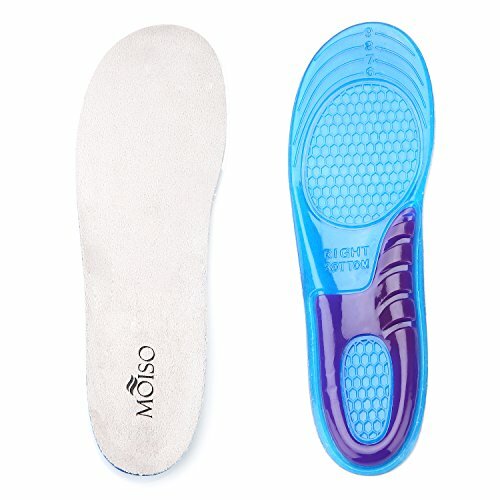 MOISO Gel Sports Comfort Cuttable Insoles for Shock Absorption contain massaging gel components which cushion and mold to all areas of the foot, as well as a neutral arch to support and stabilize all arch types, and unique shock-absorbing honeycomb-like areas which also help to reduce stress from impact. 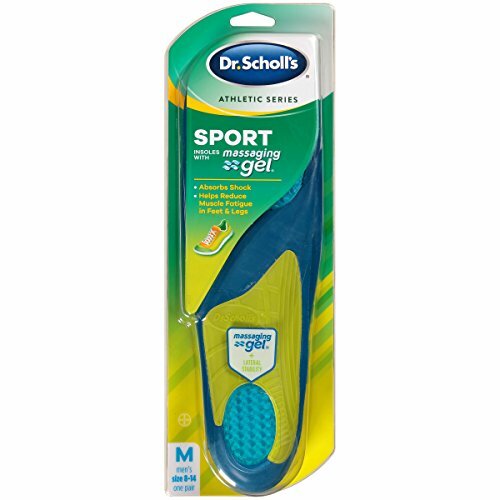 This product didn’t cause any added discomfort like Dr Scholl’s insoles and had better arch support than many of the other products including the New Balance insoles. 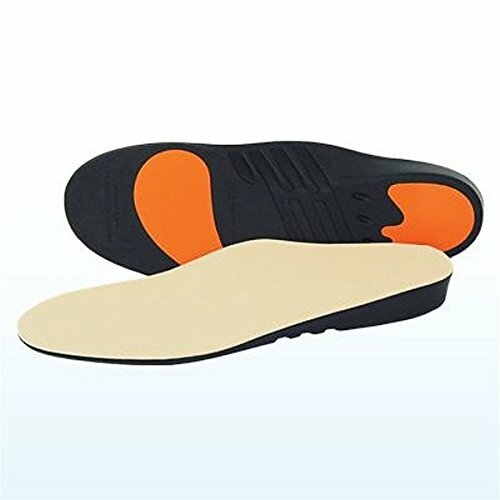 MOISO Gel Sports Comfort Cuttable Insoles for Shock Absorption are beneficial for numerous running injuries and conditions, and they also improve performance and reduce pain levels. They’re made from high-quality material, fit well in all kinds of sports shoes and are durable and long lasting, unlike the Powerstep and Sof Sol models. This combination of high quality, features, price and effectiveness in relieving and managing injuries and conditions caused by running makes MOISO Gel Sports Comfort Cuttable Insoles for Shock Absorption our choice for the best insoles for running on the market today. Helen started writing about health to document her own journey. She fell into some very bad habits and knew things had to change. That’s why she began this site! What are the Best High Heel Inserts in 2019? Stay up-to-date with our always fresh contents by receiving customized newsletters about your favorite categories and popular posts! Important Disclaimer: The information contained on Health Ambition is intended for informational and educational purposes only. Any statements made on this website have not been evaluated by the FDA and any information or products discussed are not intended to diagnose, cure, treat or prevent any disease or illness. Please consult a healthcare practitioner before making changes to your diet or taking supplements that may interfere with medications. Copyright 2019 by Health Ambition. All rights reserved.